As part of the Inside Careers series of Employer Q&As, in March 2013 patent employer J A Kemp answered your questions. Find out more about J A Kemp. Do you have any advice for students looking to gain work experience or an internship in the patent profession? Entry to the patent attorney profession is highly competitive. We and other firms do receive many more high-quality applications than we have places to offer. Some firms offer limited work experience, but this is quite rare and we are not among them. Structured internships in this profession are in particular very rare, probably because of the resources they would consume and the fairly limited benefits to the firm. Work experience and internships in this profession are also not necessarily as valuable to the individuals as they may be in other professions as it is hard in a couple of weeks to get a full appreciation of what the actual day to day job of a patent attorney involves. In our experience, academic excellence is valued over and above work experience, as is apparent suitability as judged by written exercises and/ or CVs and interviews. Our advice would be to focus your efforts on formal applications to the larger and mid-size firms, because they are more likely to be in a position to hire and train people than small firms or in-house departments. This is not a hard and fast rule. Some firms in-house patent functions and/ or smaller firms will need trainees too. A degree of familiarity with what the profession does and how its exams are structured is also useful. You will also be expected to be familiar with the profile of any potential employer these days, and patent attorney firms are no exception. Not only should you study a firm’s website carefully, you should also search the internet for supplementary information and third party views. This can be helpful in preparing a thoughtful and distinctive written application, and is particularly important for preparation for any interviews that you are offered. It may be necessary to make a number of applications over a period of time, possibly more than one “intake” but we would not recommend trying forever if it does not seem to be working, as the field will be strong every year. Is it possible to branch out from your specialism early in your career? My specialism is nanotechnology/bio-nano/chemistry but I have a personal interest in electronics and would like to apply for such jobs. In general, early training in private practice is technologically broad rather than specialised from a background such as yours, larger firms such as ours would probably look to involve you in cases across a range of biotech/chemical technologies. Greater specialisation later is a feature of some careers but not all; it depends what the business needs. For electronics, bear in mind that you would be in competition with candidates already trained in that field to degree level, so we doubt you would be well placed to be hired specifically into that discipline. It would not be out of the question to do some electronics work at some point in your career but probably as a second string rather than a main focus. This would be more likely to be possible in a smaller firm than in a larger one but you might be well advised to train in a larger firm on subject matter closer to your academic background. Do you require a law conversion course after university to go into the patent attorney profession? I am finishing my PhD in chemistry, but in this highly competitive profession, would taking an IP law course improve my chances of obtaining a training position? You do not need to complete a law conversion course to become a patent attorney. To become a patent attorney you need to begin with a technical degree and then train and qualify both as a European and as a British Patent Attorney. Professional training will be provided by the firm both in-house and externally. For example, at J A Kemp you will have an experienced attorney mentor from day one, to expose you to a variety of work, set targets for your performance and development and support you throughout your training. In-house tutorials are also provided for you to learn the basics and mix with trainees and attorneys from other disciplines, as part of a structured programme of support towards attaining the qualifications. We and other firms also use some external courses, notably the Queen Mary Certificate in Intellectual Property Law, which confers exemptions from the first set of British professional exams. It is also possible to take similar courses prior to starting work but we at least do not consider this to be an advantage. What qualities do J A Kemp look for in an ideal candidate? The academic requirements are rigorous. At J A Kemp we require, in addition to at least 360 UCAS points, a minimum of a 2.1 honours degree (or equivalent) in a scientific or technical subject, preferably physics, engineering, chemistry or biosciences such as molecular biology, biochemistry, genetics, immunology or plant sciences. We are open to applications from candidates holding or studying for a bachelors, masters or PhD degree. An interest in both scientific matters and intellectual property, and to an extent the law in general. Please bear in mind that prospective candidates for a position at J A Kemp should ensure that a description of their scientific background is present on their CV. As an example, the topic and goals of your masters degree or PhD should be briefly explained. Will J A Kemp have any vacancies for trainee trade mark attorneys this year? What are the skills and experience that you look for in suitable candidates for trade mark attorney positions? We are not currently planning to recruit any trainee trade mark attorneys at graduate entry level this year. We are in principle open to considering applications from outstanding candidates at any time. The academic requirements for becoming a trade mark attorney are rigorous. At J A Kemp our minimum level of UCAS points is 360 and we require a minimum of a 2.1 degree (or equivalent), with a preference for languages or law. To be considered for a job or internship, is an undergraduate degree sufficient or is a Master or PhD required? The academic requirements for becoming a patent attorney are rigorous. To be considered for a trainee patent attorney position at J A Kemp we require, in addition to at least 360 UCAS points, a minimum of a 2.1 honours degree (or equivalent) in a scientific or technical subject, preferably physics, engineering, chemistry or biosciences such as molecular biology, biochemistry, genetics, immunology or plant sciences. We are also open to applications from exceptional candidates holding or studying for a bachelors, masters or PhD degree. We do not offer structured internships or work experience opportunities that might lead to a traineeship. We engage all our graduate entrants on a permanent, long-term basis. I am still completing my PhD thesis – can I apply for a trainee position now or should I wait until my PhD is completely finished? Do you hire throughout the year? Yes, we routinely consider candidates who are still completing a PhD. We know that all PhDs are not necessarily completed at the same time and are open to being sent CVs at any time of the year. We are also flexible about start dates though in practice we normally interview most candidates in the first half of the year with a view to trainees starting in the second half of the year. Autumn start dates are best for us, and for most recruits too. It enables us to create peer groups of trainees who are trained together. Some of the professional exams have minimum service periods to comply with but are held only once a year, so it is better to start at certain times of the year than others for this reason too. We require that candidates have finished writing up their PhD thesis before they join us. Will J A Kemp consider non EU candidates? I currently have a UK ancestral visa and will be able to apply for residency after five years, can this be taken into consideration? We consider all candidates on their merits. It is however important to recognise that it is essential to qualify as a European Patent Attorney (EPA) and that an EPA must in principle be a national/ resident of a contracting state of the European Patent Convention (which includes all EU States and a few others). Work permits can sometimes also be an issue for non-European candidates. These situations do vary considerably and have to be looked at case by case. Researching with the EPO your exact status vis a vis the European Qualifying Examination and setting this out in your application would be worthwhile. I have a background in Chemical Engineering and Materials Science. Is this an appropriate background to become a patent attorney? Or do you need a degree in physics, electric or electronic engineering? Yes, Chemical Engineering and Materials Science are mainstream backgrounds for patent attorney work. In general, any science or engineering degree is relevant to some aspect of our work, and people normally practice in fields related to, but not by any means confined to, those studied at university. Do A level results affect a candidate’s application if they have achieved highly at university? The academic requirements for this profession are rigorous so a candidate’s A level results would be taken into account. At J A Kemp we require, in addition to at least 360 UCAS points, a minimum of a 2.1 honours degree (or equivalent) in a scientific or technical subject, preferably physics, engineering, chemistry or biosciences such as molecular biology, biochemistry, genetics, immunology or plant sciences. Regarding A levels in particular, we do find that what subjects were studied and what grades were attained remain useful predictors of suitability even amongst candidates who have reached the PhD/Postdoc stage. Ideally, we like to see a continuous track record of high achievement academically. However, we are not rigid about this and consider each application on its merits. Sometimes there are good reasons why a particular candidate’s level of academic performance has improved over their education and the most important thing is what we think the candidate will bring to the job, not what they have done in the past. I am half way through my PhD and I was wondering if, apart from increasing my depth of knowledge in the intellectual property subject area, there was anything in particular I could be doing to increase my chances of attaining a job following my PhD? c) researching and thinking about the IP profession and what the job might entail and being prepared to articulate clearly your impressions. 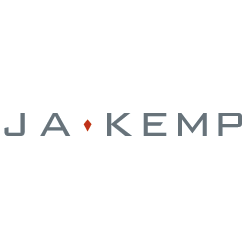 Will J A Kemp accept students who are not recent graduates as trainee patent attorneys? What can these applicants do to stand out from recent graduates? Yes, we would consider applicants who were not recent graduates although how the candidate has spent their time since graduating would be relevant. We have for example sometimes hired people with postdoctoral research experience. What work experience is desirable in potential candidates? Work experience and internship schemes are rare in our profession and we do not require or accord particular value to such experience. We are more interested in a candidate’s academic background, potential and personal qualities. Where can I find some more information about patent and trade mark attorneys? Why consider becoming a patent attorney? This profession represents an intellectually challenging and rewarding career option that offers scope to apply your scientific knowledge and ongoing exposure to cutting edge research. It brings together a unique blend of science, law and business skills. Both remuneration and career structure are also generally attractive to most entrants. What’s different about J A Kemp? We recruit all of our trainee attorneys in the hope that they will have a long and fulfilling career with the firm. As one of the leading UK firms, we provide outstanding opportunities for career progression, and we do not hire more trainees than we need with a view to reducing numbers later. The senior resource we devote to developing our trainee attorneys is second to none. You will have an experienced attorney mentor from day one to expose you to a variety of work, set targets for your performance and development and support you throughout your training. Our programme of in-house tutorials is particularly extensive and thorough, drawing deeply on the expertise of our qualified attorneys. Our record of first time exam successes is outstanding and failure, even of individual papers, is a rarity in our firm. Our salaries are competitive with the small number of other leading UK firms and our benefits package one of the best. In addition to participation in a generous performance related bonus scheme, the benefits for trainee attorneys include flexible working around core hours, a flex system that enables you to earn up to eight days’ extra holiday, life assurance, income protection, travel and accident insurance, season ticket loans and a pension scheme with contribution matching by the employer. The advantages of working in a leading firm: reputation, client base, breadth and depth of technical expertise and collective knowledge of intellectual property law worldwide. An opportunity to combine a first-class training and personal development programme with early responsibility for producing high quality work and delivering excellent service to our clients. A sensible approach to work-life balance combined with excellent salary prospects, flexible working and generous benefits. The benefits of a caring and responsible employer with commitment to contributing positively to society through the work of the firm and through caring for the environment. A supportive, open and friendly culture!